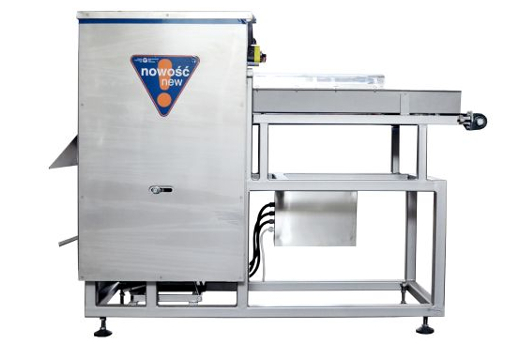 The RP1 is designed for grinding various types of bread, especially baguettes, bread loaves bread and bread rolls, small size bakelettes for oven drying or production of the bread acid. It is recommended for the shredded bread to be dry or cooled to about 20 degrees celsius. 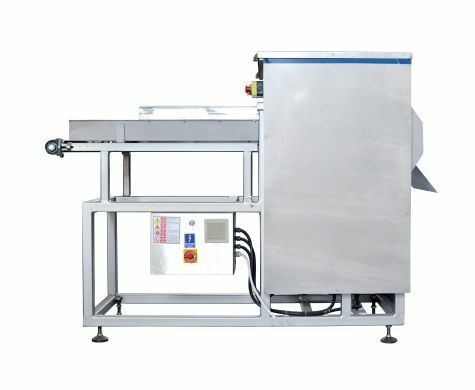 The chooper consists a steel body in which the cutting unit drive mechanism is located. This unit consists of a drum and four knives. 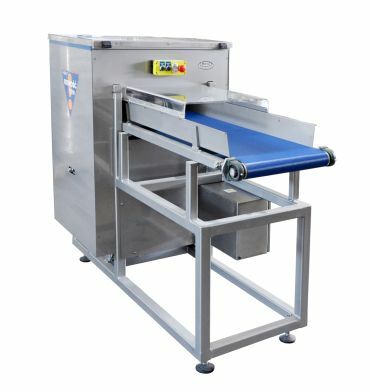 The bread is fed to the chopping chamger with a speed adjustable belt conveyor. From the top, the bread is pressed with two rollers. Chopper control panel is made in manual mode. The cutting drum, with variable speed regulation, is driven by an electric motor via belt drive. It adjusts the rotational speed of the drum and delivers belt as needed. 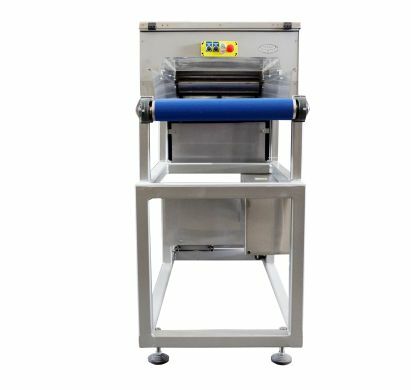 By reducing the drum rotation and increasing the tape travel time, will increase the billets thickness, while increasing the drum rotation and decreasing the belt travel time, will decreases the billets thickness. In the pick up area, the crumbs of bread can be passed to the containers or to the receiving tape. The controls are located in the distribution box, in the lower back of the machine, closed for unauthorized access. 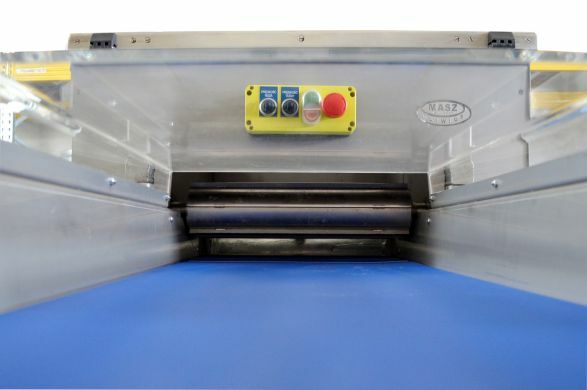 The machine is manufactured according to CE standards in Europe.